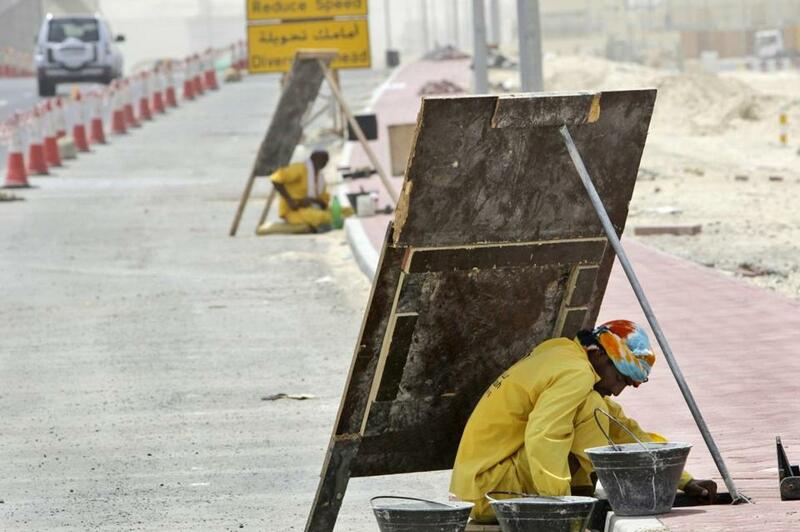 A laborer in Dubai avoided the sun on a scorching June day by working behind a wooden sign. WASHINGTON — Rising global temperatures could push the sun-baked cities of the Persian Gulf across a threshold unknown since the start of civilization: the first to experience temperatures that are literally too hot for human survival. A scientific study released Monday warns that at least five of the region’s great metropolises could see summer days that surpass the ‘‘human habitability’’ limit by the end of the century. Heat and humidity would be so high that even the healthiest people could not withstand more than a few hours outdoors. On the hottest days, inhabitants of those cities could experience a combination of heat and humidity so high that the human body is no longer capable of shedding the excess heat through perspiration, according to the report’s authors, a pair of scientists from the Massachusetts Institute of Technology and Loyola Marymount University. ‘‘Our results expose a regional hotspot where climate change, in the absence of significant mitigation, is likely to severely impact human habitability in the future,’’ the authors write. 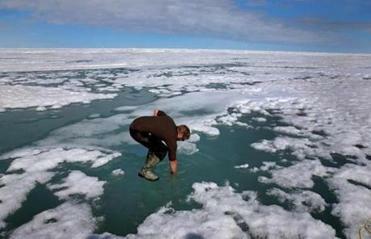 The Arctic ice is melting fast, the warmth tied to the emissions of modern life. But it is the ancient ways that are most at risk. Read: Can cows help solve climate change? The report examines different scenarios over the coming decades, focusing on a key heat measurement known as the ‘‘wet-bulb temperature,’’ which includes humidity and evaporation rates, averaged over several hours. A wet-bulb temperature of 95 degrees is regarded as the survivability limit for healthy people. For years, scientists have postulated that parts of Earth could cross the 95-degree mark in future centuries if global warming continues. But that day could come much sooner for cities in the Persian Gulf, where temperatures soar well beyond 110 degrees in the hottest summer months, the researchers said. Dubai, Abu Dhabi, and Doha already suffer from high heat-index values that contribute to high rates of heat stroke among outdoor workers. But the authors warn that city planners will have to make major adjustments as temperatures begin to cross the lethal 95-degree threshold. ‘‘It is an upper limit to adaptability to climate change due to heat stress,’’ MIT researcher Elfatih Eltahir said. The report is the latest to highlight dangerous weather extremes that could be experienced in the relatively near future if atmospheric concentrations of heat-trapping greenhouse gases continue to rise at current rates. A policy statement released Monday by the American Academy of Pediatrics warned of significant new health threats to children if global temperatures continue to climb — from higher rates of heat-related illnesses to outbreaks of diseases normally associated with the tropics. ‘‘Children are uniquely at risk to the direct impacts of climate change,’’ said Samantha Ahdoot, lead author of an AAP policy statement published in the research journal Science. ‘‘If we don’t limit climate change to avoid extreme heat or mugginess, the people in these regions will likely need to find other places to live,’’ said Field, who was not part of the study. Catholic patriarchs, cardinals, and bishops representing five continents appealed to climate negotiators on Monday to approve a ‘‘transformative’’ and legally binding agreement that sets global temperature limits. Representatives of bishops’ conferences from around the globe signed the appeal in a renewed push to encourage climate negotiators meeting in Paris next month to heed Pope Francis’ call to protect God’s creation and the poor who suffer most from its exploitation. • Alaskans wonder, ‘who stole our winter?’ We did.